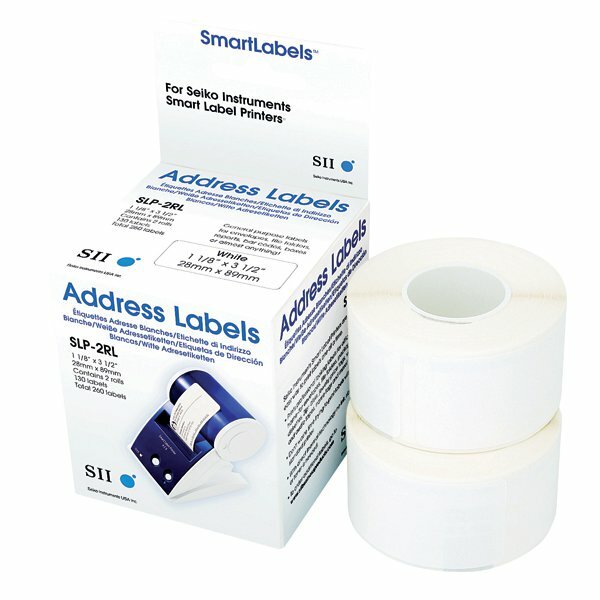 These quality white Seiko Address Labels are great for large envelopes, packages, cartons, name badges, barcodes and more. The labels provide reliable adhesion and a clear white surface suitable for both writing or printing addresses. This pack contains 260 labels on a roll for easy access. Each label measures 28x89mm.